Poetry NZ, New Zealand’s foremost poetry magazine, guest edited for this issue by Nicholas Reid, presents the finest new writing from this country and elsewhere. Each edition offers poems by talented newcomers and developing poets as well as those of already acclaimed and established writers. 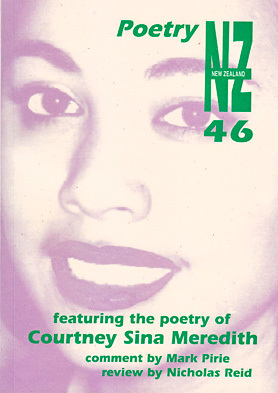 This issue features the poetry of Courtney Sina Meredith. ← Say the Same with THE MEANS!